In the era of 90s nostalgia and endless sequels, there appears to be room for any series that was once popular. But perhaps Toei Animation didn't want to risk network TV in Japan until after the online numbers showed support for "Sailor Moon Crystal." Although there's no certainty as to why it's happening now, "Sailor Moon Crystal" will be heading to broadcast TV in Japan soon. Previously, the "Sailor Moon" reboot was streamed to fans online via Niconico. 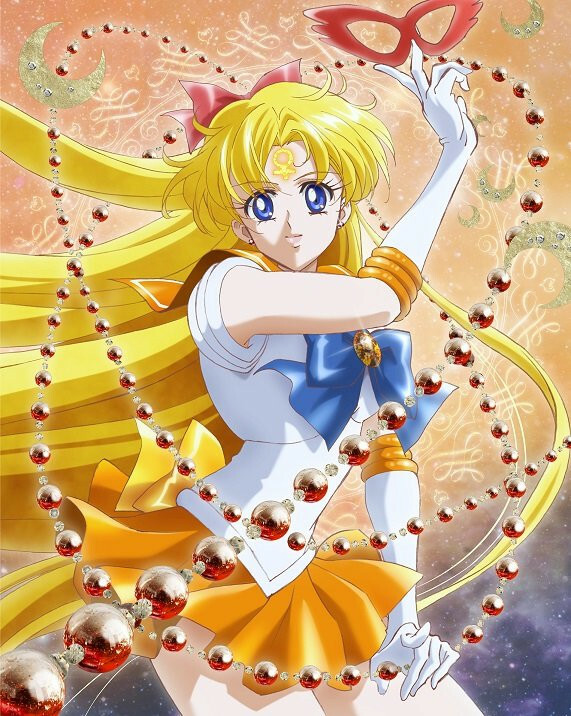 Arriving with the news that "Sailor Moon Crystal" will be broadcast on TV (in addition to streaming) is the all new Sailor Venus cover art for the special edition Blu-ray/DVDs of the series. "The cover for Venus is very pretty. I really like how her chain is swirling around her," commented Selenae on CR. "I hope when Viz starts releasing these we get some sort of Art like this. They are all amazing," added Feia20032. According to Anime News Network, "Sailor Moon Crystal" began streaming online in 2014. The reboot of the original manga by Naoko Takeuchi is directed by Munehisa Sakai with character designs by Yukie Sako. Music for the series is handled by Yasuharu Takanashi. The main voice cast for "Sailor Moon Crystal" includes Kotono Mitsuishi as Usagi/Sailor Moon, Hisako Kanemoto as Ami/Sailor Mercury, Rina Satou as Rei/Sailor Mars, Ami Koshimizu as Makoto/Sailor Jupiter, Shizuka Itou as Minako/Sailor Venus, and Kenji Nojima as Mamoru/Tuxedo Kamen. "Based on Naoko Takeuchi's legendary manga series, 'Sailor Moon Crystal' retells the story of Sailor Moon as she searches for her fellow Sailor Guardians and the Legendary Silver Crystal to stop the dark forces of Queen Beryl."